February 14, 2017 (Vancouver, B.C.) 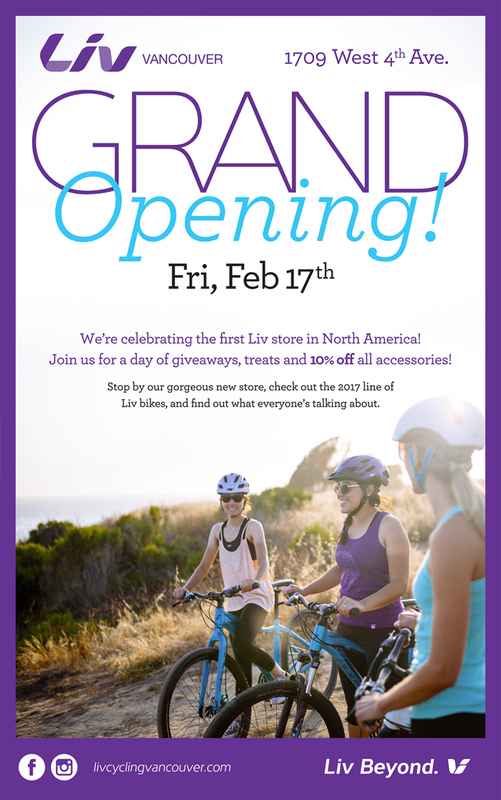 – Liv Vancouver is pleased to announce the store’s initial schedule of events, including a Grand Opening celebration on February 17 and a variety of tech clinics, group rides and cycling adventures aimed at women riders. Liv Vancouver’s Grand Opening is set for Feb. 17. Gagnon is inviting everyone to stop by on Friday, February 17, between 10:00 a.m. and 6:00 p.m., to help celebrate the store’s official Grand Opening. As part of the festivities, visitors will receive 10% off accessories and be treated to giveaways, coffee and baked goods. Liv Vancouver’s first of many Tech Clinics took place last week. In addition to the opening, Liv Vancouver has already filled its calendar with a series of hands-on bicycle repair and maintenance clinics, weekly group road rides, and even an off-road Sea to Sky Trail adventure from Squamish to Whistler and back. Registration is open for all of these events. “This is only the beginning,” promised Gagnon, who plans to offer a lot more cycling adventures, rides, clinics, camps, and ways for women to learn about the sport she’s so passionate about. Liv Founder and CEO Bonnie Tu is coming to Vancouver. As Liv Vancouver continues to generate buzz, Gagnon recently received the news that Liv Cycling Founder and Giant Bicycles Chairperson Bonnie Tu will make a rare trip from Taiwan to get a closer look at the store. While she’s in town, Tu will join Liv Vancouver’s Sunday group ride on March 19. The weekly fitness rides kick off on Sunday, February 19. 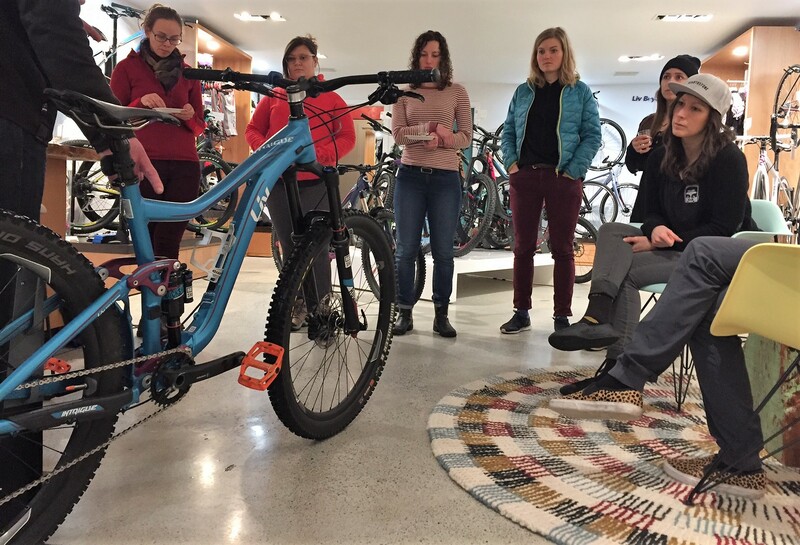 The highly anticipated women’s focused bicycle boutique located in Vancouver’s hip West 4th shopping district, marked its soft opening last month and has already received lots of interest from women riders of all levels, ages, and interests from across the region. 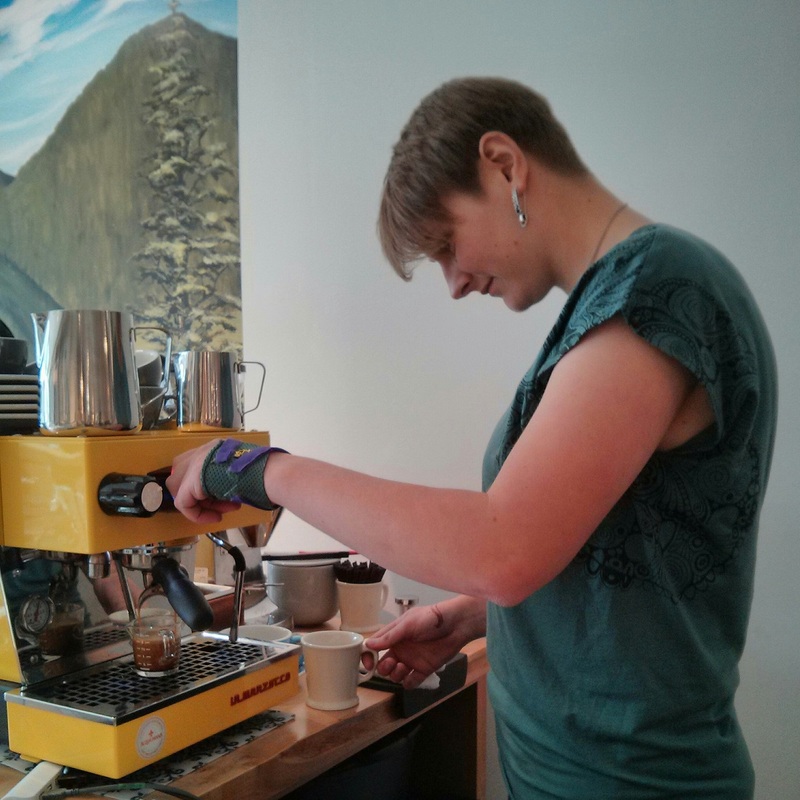 Liv Vancouver staffer Kelsey MacDonald is getting lots of practice on the new espresso machine. Featuring a complete selection Liv’s 2017 line of bikes and gear for all types of riders, the shop’s other highlights include an espresso maker, a comfy area to sit and enjoy a cappuccino while browsing Liv’s latest catalogue, a beautiful mountain-scape wall mural, and friendly knowledgeable staff. For a full list of Liv Vancouver’s events, details and how to register, visit www.livcyclingvancouver.com/events.